Another Sales and Service Center of Bakcell – this time in Gabala! October 2, Fineko/abc.az. Bakcell – the First Mobile Operator and Provider of the Fastest Mobile Internet in Azerbaijan has opened a new Sales and Service Center in the city of Gabala. 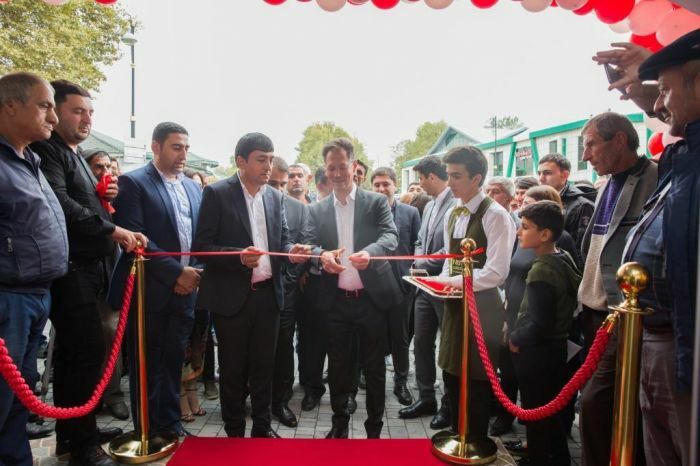 The new Sales and Service Center, opened within the frames of activities aimed at expanding the company’s sales and service network, will provide the consumers with an opportunity to use all the existing customer services of Bakcell, and purchase mobile devices, mobile numbers and accessories at one place. “Bakcell implements a special strategy aimed at providing the customers residing at all the regions of Azerbaijan with the most innovative products and services, along with the country’s fastest mobile internet. Gabala region plays an important role in this strategy. The 4G services of Bakcell are already covering the whole Baku and Absheron territory. At the same time, we already have 4G network deployed in more than 30 region and city centers of the country, including Gabala. Today, we have six 4G base stations in Gabala and working on expanding our LTE coverage in this region. Moreover, we are currently implementing a free 5 GB campaign in 16 regions, including this one. Thus, our customers in Gabala are able to use a free 5 GB internet package to test and experience the superiority of our 4G network. By the way, the customers can turn in their old 3G SIM cards and get new 4G SIMs free of charge!” said Bakcell CEO Nikolai Beckers at the opening ceremony. During the opening of the new Sales and Service Center, Bakcell officials have also presented the company’s new product – the “WiFi Router”. This router allows the users to connect up to 32 devices for using the high-speed internet without laying any cables or drilling the walls and doors. Sales of this new product have already started. 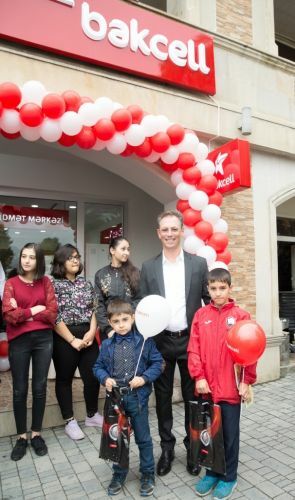 On the occasion of the opening, the residents of Gabala can visit the new Sales and Service Center of Bakcell and get up to 10% discount on mobile phones, along with free mobile numbers and accessories for the purchased phone.